Gannon’s Student Government Association (SGA) will be hosting the first student town hall of the academic year at 6 p.m. Thursday in the Yehl Ballroom. The event will run for about two hours and will allow students in attendance to share their thoughts and feelings on the university – what they like and don’t like, what they feel could be changed and more. President Keith Taylor, Ph.D., will be in attendance and available to take questions about anything school-related. SGA began holding a student town hall last spring for students to voice their thoughts and opinions. SGA will continue to have them throughout this year. These events will occur twice a semester, offering students multiple occasions to chime in and let their voice be heard on the issues that matter the most to them. Young also stressed the importance that students take advantage of these events. 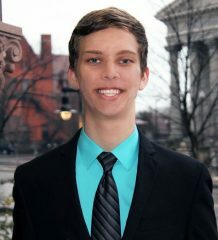 First-year student Anthony DiFonzo said he likes the option of having a student town hall. “I think the idea of these town halls is a good thing,” DiFonzo said. DiFonzo said he may attend the town hall and said he wouldn’t mind sharing his thoughts and hearing what others are thinking. Fellow first-year student Leah Frank voiced a similar attitude. Ryan Duckett also said he thinks the town halls are great. “It allows anyone to come and express their thoughts and feelings on different subjects at the time,” Duckett said. 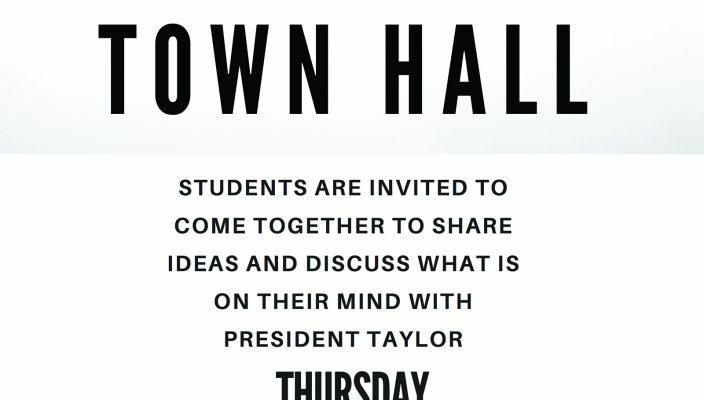 For any students who can’t attend but wish to know what is discussed at the town hall, an article will be published in next week’s edition that will recap the event and key moments, issues and points.